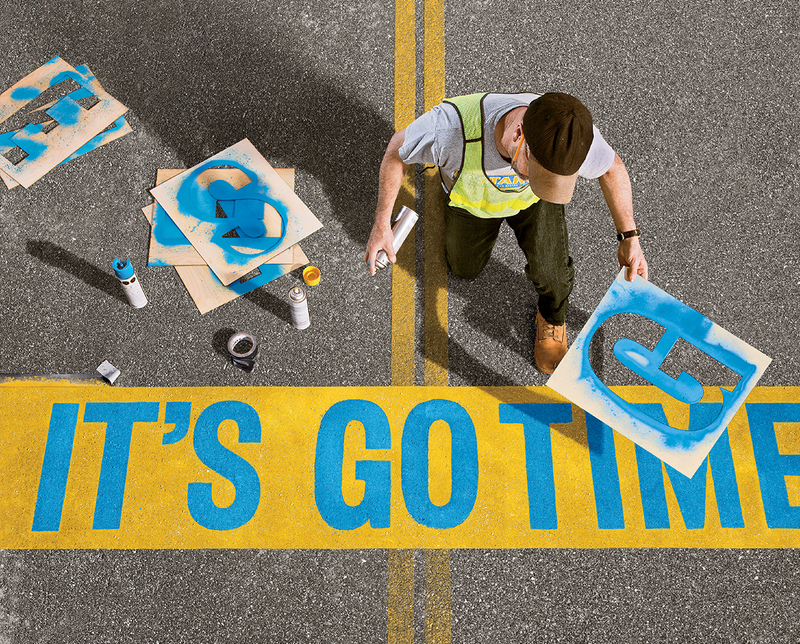 The Boston Marathon, one of the most prestigious marathon events in the nation, is coming up on April 20, 2015. Most avid runners aspire to participate in this event each year and in some ways, it is the pinnacle of marathon events for some. With that in mind, it brings up the question… what qualifications do you actually need to participate? Most runners hear “Oh, I’m training for Boston…” or “I’m looking for a Boston qualifier”. It is obviously an elite marathon event given the exclusivity and popularity. Therefore, what are the requirements and is it something feasible for the “regular” runner and competitor? And how do you qualify with the events offered in the Reno and Lake Tahoe area? The Boston Marathon is held on the third Monday of April each year in honor of Patriot’s Day. Beginning in 1897, it is the world’s oldest annual marathon and one of the most well-known road racing events for professional and amateur athletes. 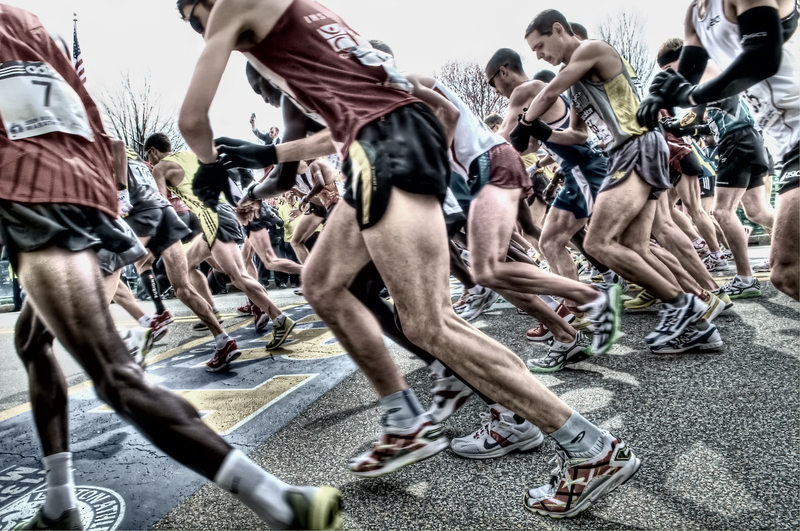 Participants in the race come from all over the world and it attracts nearly half a million spectators each year, which makes it the most widely viewed sporting events in New England each year. I know… I would’ve thought Boston Red Sox, New England Patriots, or the Boston Celtics would be dominating here… but no, running prevails. Given the popularity and history of the running event, it is obviously also recognized for it’s exclusivity. Each participant is required to participate in a marathon event that has been determined to be certified by a national governing body affiliated with the International Association of Athletics Federations within approximately 18 months prior to the date of the desired Boston Marathon. There are exceptions to these qualifications as some runners will be admitted to run the event based on a certain amount of race entries designated to charities, sponsors, vendors, local running clubs, marketers, and other groups. 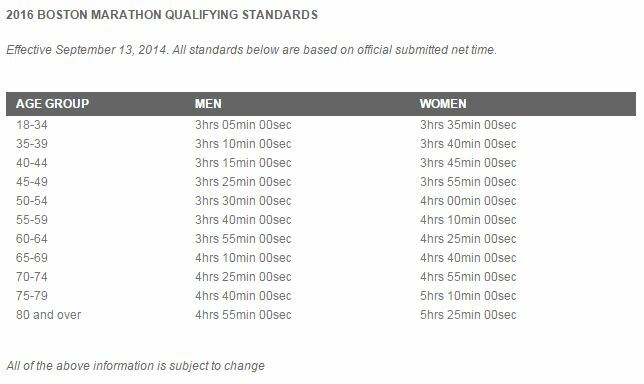 I wouldn’t bank on these exceptions though, as the accomplishment really lies in achieving the qualifying time within the designated 18 month window prior to the annual event. If you’re looking to qualify for the event, one event really comes to mind as a certified Boston Qualifier and that is the Downtown River Run. Conveniently this event is being held this weekend, April 12th. If you’re looking to participate in a close-to-home event, or an event that just offers some beautiful scenery for the Truckee River and downtown Reno, and qualify for the Boston Marathon, I would suggest this one!! Please share if you’re running this weekend and it’s your shot at a qualifier. It would be great to hear from those that are looking at getting to Boston. After getting an idea of what running events there are this year and which ones I want to do, I can’t help but come across some runs that I haven’t had the pleasure of participating in. 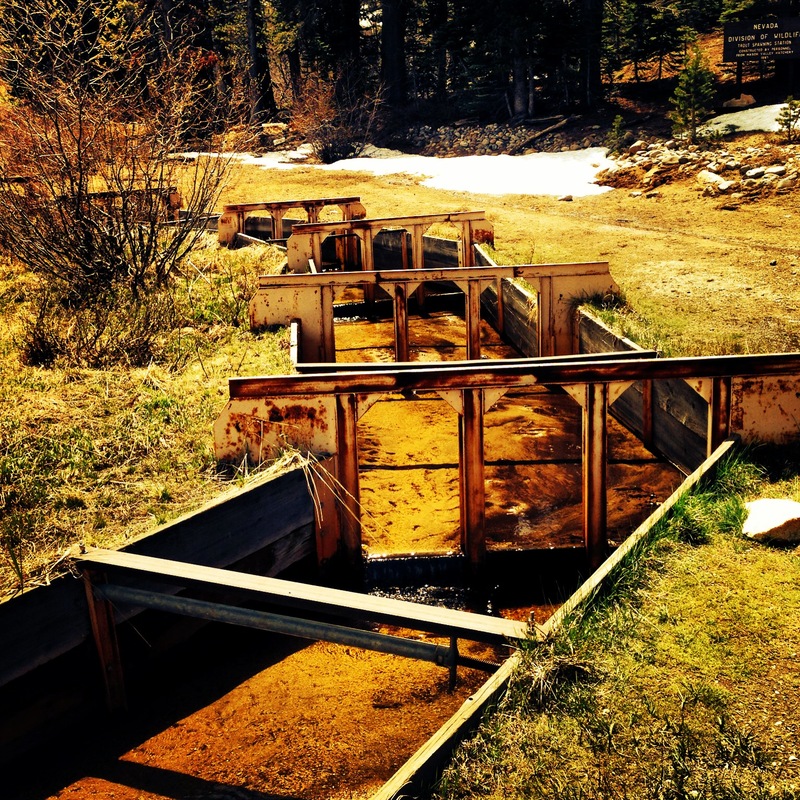 Therefore, I thought I might highlight a Lake Tahoe Half Marathon that’s been on my wish list for a little while: The Lake Tahoe Flume Trail Classic. If you’re familiar with the flume trail at all, you will know it is an excellent mountain biking course. That is, after all, how I discovered this beauty of a trail at Lake Tahoe. I hadn’t thought of running the course until recently, but was forwarded the link for this upcoming half marathon from a teammate on the Reno Tahoe Odyssey, and it struck me as somewhat of a surprise that I hadn’t heard of it before. 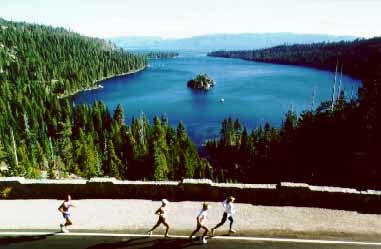 The half marathon starts at Spooner Lake, Nevada State Park, which is located on the east shore of Lake Tahoe. A shuttle will transport runners to the start line as this run is point-to-point. It follows up the Marlette Lake Trail (which is a typical go-to hiking spot with the puppies) for about 3 miles. 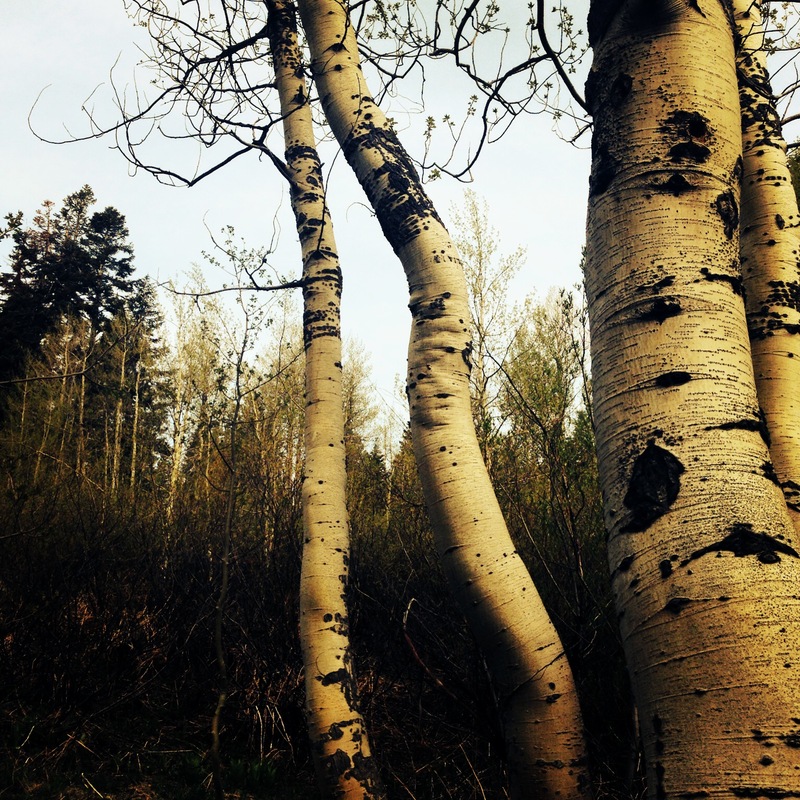 This stretch of the run is the steepest as runners gain approximately 1500 feet in elevation through aspen trees groves, but it is well worth it once you are at the top, as there is a half mile descent down to Marlette Lake. Once you arrive at Marlette Lake, you merge on to the Flume Trail after about a 1 mile stretch on an old Jeep road. Dropping down onto the Flume Trail it is basically all downhill from there with beautiful views of Lake Tahoe on a single track path. The race finishes almost at lake level at Tunnel Creek Station after the breathtaking downhill on the Flume Trail. This run is going to take place on October 3rd at 9am and hopefully turns out to be part of my fall running schedule. It is just a week before the Lake Tahoe Marathon, so it may be a little difficult to do both. 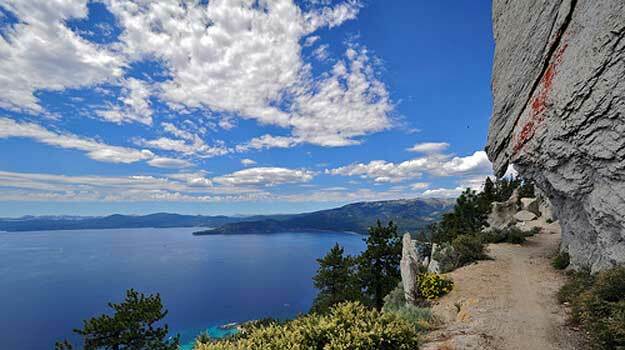 You can plan to do back to back weekends of half marathons though and soak in the beauty of Lake Tahoe from both sides of the lake. I’m definitely excited about this one, so let me know if you plan to run this event! The Reno River Festival will be presented on May 9-10, 2015 at downtown Reno’s Truckee River Whitewater Park and presents a weekend of “world-class whitewater competitions, live entertainment, food from around the region, and an outdoor expo featuring some of the industry’s top retailers”. The event has typically brought more than 30,000 people to the area each year and features many other weekend events to complement the main whitewater kayaking competition including a wide array of music, food, yoga, fly fishing clinics, and of course… running. 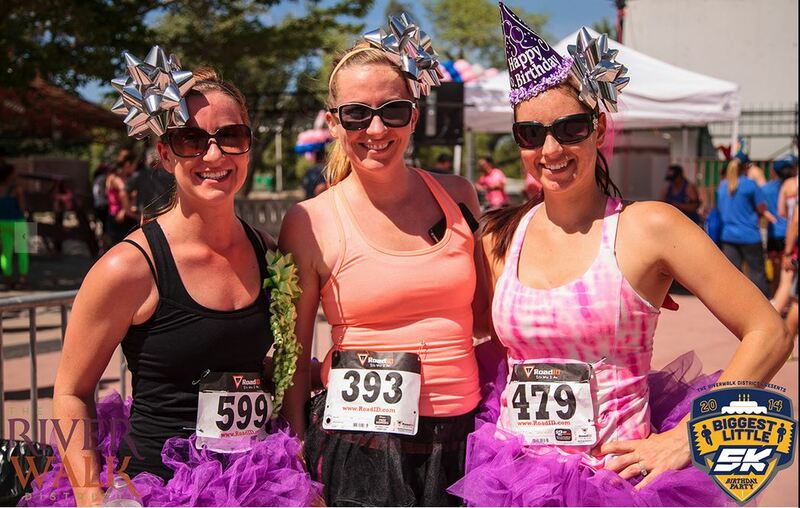 The premier running event of the weekend is the Biggest Little 5k Birthday Run. In honor of the City of Reno’s 147th birthday, this is the 2nd Annual event to help showcase Reno’s Riverwalk District. The event also helps raise funds for the Riverwalk District’s Beautification Program. The 5k route starts at the Reno Arch, similar to the Downtown River Run, and follows a similar course down the Truckee River Path towards Idlewild Park. It is an out-and-back course that turns around at Idlewild Park and comes back towards the finish line in front of Wingfield Park and Sierra Tap House, close to where the main festivities for the Whitewater Competition are located. The event starts at 9am on Saturday, May 9th and is a 5k (3.1 miles!). It isn’t one of those early races, so there shouldn’t be any excuse not to participate in this one. The registration fee is $30 + a $2.85 processing fee, but every dollar raised is going towards making the Riverwalk District a more beautiful place for locals and visitors, so you will be contributing to that cause. I ran the inaugural Biggest Little 5k Birthday Run last year and it just so happened to fall on MY birthday, so it was definitely exciting (like everyone came to celebrate my birthday with me… but not really). Sierra Tap House was also positioned at the finish line last year with some delicious beer to get the celebration started, so kudos to them for helping make it a blast. It was also one of the few races I came in as an overall top finisher, so I was pretty stoked to say the least! See… That’s me on the far right! Hopefully I will see everyone at the race this year! All signed up: Who should you train with in Reno/Tahoe for that upcoming running event? Since I’m not a glorified personal trainer or running coach and everyone can enjoy the benefits of training for an upcoming run in in a one-on-one or group setting, here are some of the great running and training groups in the Reno area that may be of some interest. Each groups provides specialized training plans depending on the distance you’re looking at running, whether that is an upcoming 10k, half marathon, or marathon. All skill levels are welcome in these groups as well. Therefore, you don’t need to be a conditioned runner to be included, since odds are there are people at the same level as you are. 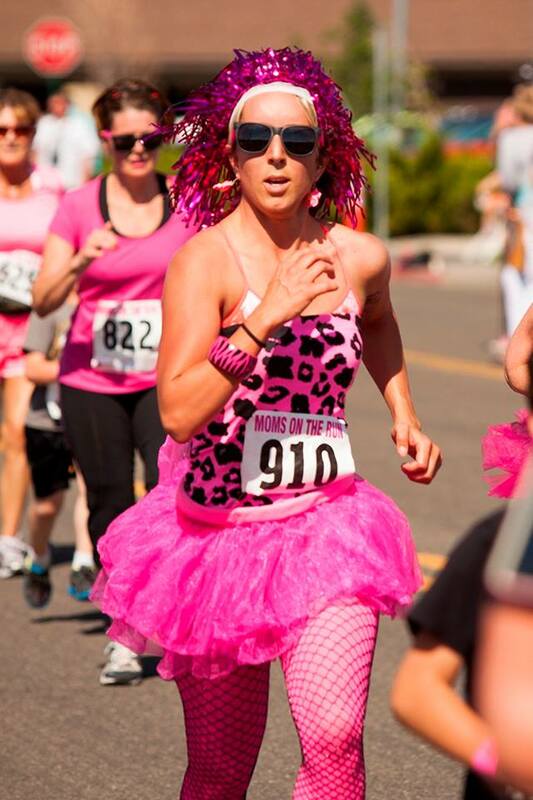 It’s also a way to get to know the community of runners better in the Reno/Tahoe area! NSET is a non-profit walking and running group based in Reno that provides training schedules, seminars, coordinated group runs and work out schedules, as well as general endurance training tips in an effort to help individuals reach their running or walking goals. Runners are able to provide NSET with the event they are training for and the NSET coaches will make it a priority to coordinate group runs and training tailored to the best schedule for upcoming race. It is the participant’s responsibility to register for the upcoming event and make arrangement for participating in such event, but NSET will provide a training regimen necessary to be ready if you’re looking for some structure and accountability when training. Training for a specific event isn’t required but a specific goal in mind will help NSET coaches to provide a custom training schedule for whatever you desire. NSET’s goal is “to achieve and maintain a healthy life style through endurance training and in the process achieve personal bests whenever possible”. They are a non-profit organization and operate only on tax deductible donations, so they aren’t out to make a buck on providing training, but rather to help people exceed in their endurance training goals and achieve overall health and satisfaction when it comes to running and walking. EFAST provides endurance training at the next level with professionally certified coaches that have years of experience as athletes, coaches, and professionals. Their mission is to “re-create the collegiate team environment for our athletes, who are mainly working professionals, helping them achieve competitive greatness and increased enjoyment in their day-to-day lives”. EFAST was founded and is ran by Lauren and Ryan Evans who started the endurance-coaching hub for athletes that work full-time. Together along with other coaches they help individuals to build endurance running strength by providing Body Circuit conditioning classes, Run Team group running sessions, individual personal training, as well as many more. They even provide consulting on running form analysis, injury prevention training, and pacing analysis. Their endurance fitness and scientific training courses are provided at various rates and many different packages depending on the exact type of training that is desired, but the cost is definitely well worth it as you can read from the many testimonials participants have written about the quality of training they have been given. Endurance Reno is an endurance coaching group for runners and triathletes in the Reno area specializing in training for 5k to Marathons and Sprint to Iron Man distance events. This group, also known as the “E-team” is a diverse group of athletes that help to motivate and encourage runners through various group running team schedules and coordinated training plans. Ranging from runners with 15 minute per mile pace, down to 5 minute per mile pace, the running groups with Endurance Reno have a lot of diversity. They have experienced coaches that will be participating in each training session with you and provide all of the information that is needed when preparing for an upcoming event. Pricing structure ranges from $250+ per month depending on the desired level of coaching and length of commitment. This group is a personalized fitness and coaching program that aims to provide personalized weekly training programs, group runs, lecture series, and other support to all levels of runners. They provide training programs for 10k, half marathon, marathon, and beginning runner groups. The mission of Reno Running and Fitness is “to enable all individuals to achieve their fitness goals with proper training, advice, inspiration and enthusiasm, while providing a supportive, encouraging and social environment.” All of their training programs are created with this mission in mind and they have helped many runners achieve their running event goals. The pricing structure for participation in group runs and individualized training programs varies by the individual event that training is tailored to, but there is also an annual membership that can be purchased if individuals just want to participate in group runs. Again, these are just some of the great running groups to look out for if you need some extra encouragement or motivation. Feel free to share some others that you know of or are a part of! Since I am in the spirit of race planning, there is an upcoming run that I’ve been proud to participate in every year for I don’t know how long: The Pinnochio’s Moms on the Run. This is the 15th Annual 3k/5k walk and 5k/10k running event and is scheduled for Sunday, May 10, 2015. This event is hosted by the Pinnochio’s Moms on the Run non-profit organization in an effort to raise funds for Northern Nevada Women while in treatment for breast & gynecological cancers. It takes place on Mother’s Day, of course, and gives everyone a chance to not only support fundraising for women with cancer, but all of the moms out there. 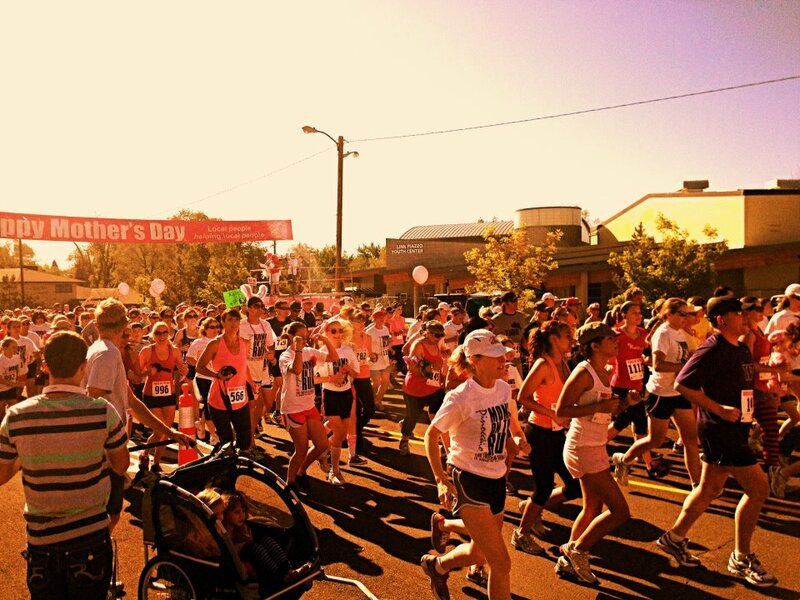 I have been lucky to participate with my mom, aunt, grandma… you name it, and this event is a great way to get the family together for some exercise and kick off Mother’s day the right way. Before loading up on food at the Mother’s day brunch, you might as well get started guilt free. It’s also a great way come out and show support for a good cause and share a good time with family. There are a variety of events to choose from including a 10k run, 5k run, 3k/5k Walk n Talk, the Bon Bon Stroll, and ¼ Mile Kidlet’s Race. Therefore, you have the opportunity to run competitively, take a walk and chat with family, or let the kids get some energy out in a fun ¼ mile race. All of the races start and finish on Foster Drive in front of the Reno High School Track with a looped course for each. Some nice refreshments are available for all race participants at the end of the events as well and “surprise”…mom’s even receive a special rose at the finish line! I’ve typically participated in the 10k race for this event and enjoy the course that follows through some of the Old Southwest Reno neighborhoods, Idlewild Park, and next to Reno High School. There is a pretty fast course, so if you’re looking to get a good 10k time, or just want to feel good about all of your spring dieting and workouts in preparation for swimsuit season, I would encourage participating in this one. It’s also exciting to see all of the families come out and celebrate Mother’s Day with some fun running or walking and just enjoy some nice Spring weather. Even if you can’t be there to celebrate it with your Mom, it’s a great way to show some support and give a shout out to all the Mom’s out there. With the Reno 5000 Downtown River Run kicking off in 2 weeks on April 12th, it brings to mind some of the upcoming marathons and half marathons in the area this year, and what could potentially be a good run to plan for this summer/fall. It is obviously a little too late to sign up for a spring Marathon or Half Marathon (unless you’re in epic shape), but you can definitely take advantage of planning now with enough time to be ready for a race by September-October. According to Hal Higdon marathon and half marathon training plans, it takes approximately 30 weeks to properly train for a marathon if you are brand new to long distance running. An 18 week training plan is more of the norm for a marathon if you’ve had some experience running before. Nonetheless, it is probably the perfect time to start getting ready for a nice long distance race coming up this fall. Therefore, I thought I would highlight one of my favorites. Event includes: Marathon, Ultra Marathon, 18 Miler, Relays, several Half Marathons, 10k, 5k and many, many others. 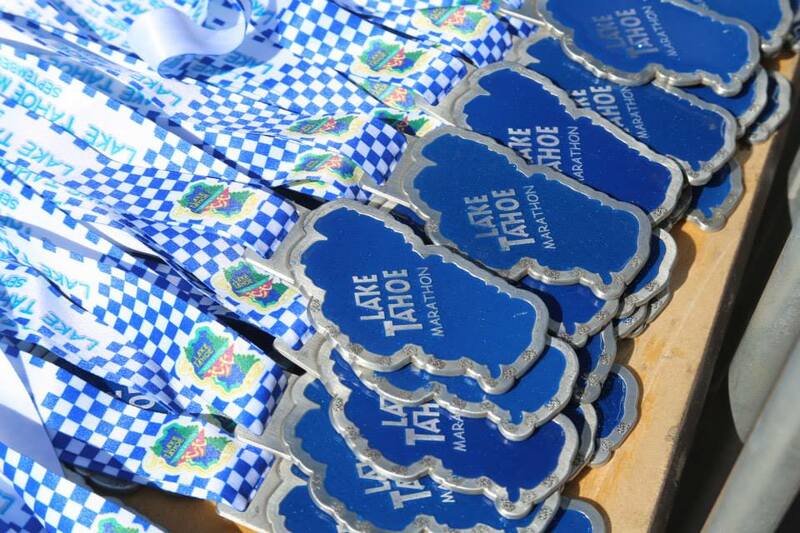 The Lake Tahoe Marathon Weekend of Events has a 3 day resume of running events ranging from a 72 Mile Ultra Marathon or the classic Lake Tahoe Sunday Marathon, to a variety of half marathon courses offered each day of the event weekend. In total, there are approximately 30+ events jam-packed into the fall weekend-of-fun at Lake Tahoe, making it a perfect event for all running skill levels. 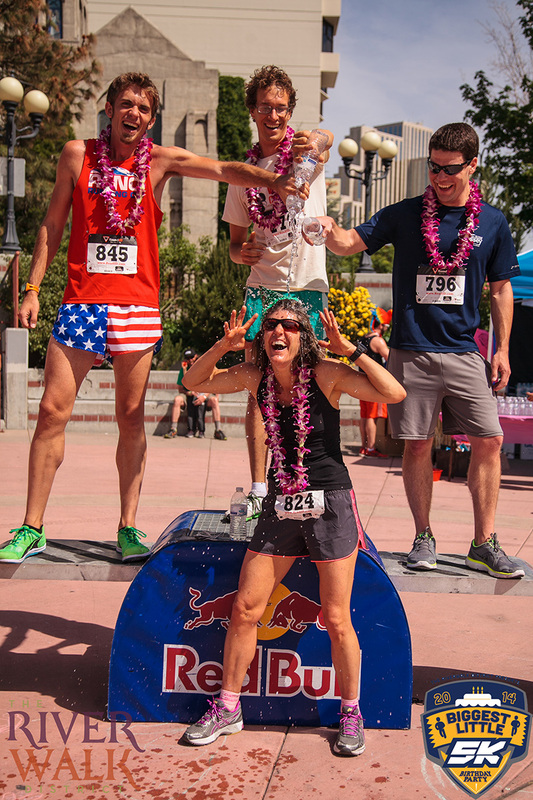 Each race showcases the beauty of Lake Tahoe and with the extensive variety of events you can find the right race just for you. If you’re looking to train for a marathon, I recommend running the Sunday Lake Tahoe Full Marathon as this is probably my favorite run of the weekend and is essentially the main event for marathons. 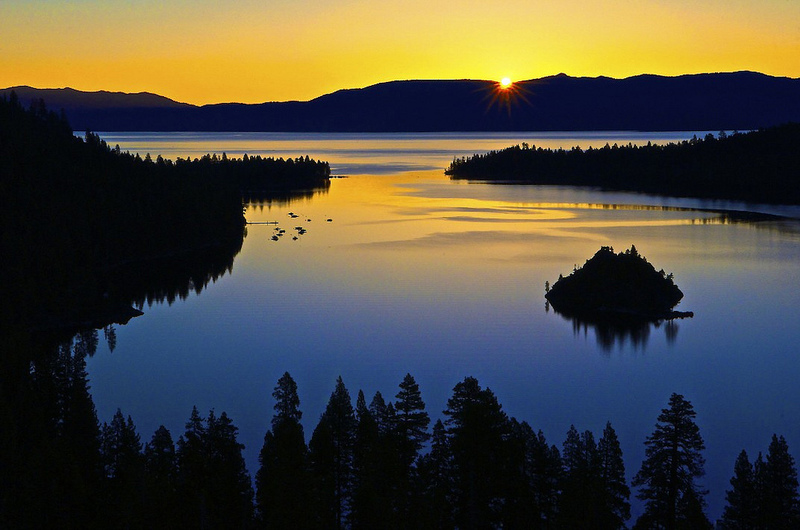 The race gives you the opportunity to soak in some of the best views of the West shores of Lake Tahoe, with Homewood Ski Resort, Emerald Bay, Pope Beach, Mt. Tallac, and South Lake Tahoe all featured on the marathon course. The race provides a challenging, yet beautiful run and the trek up to, and out of, Emerald Bay is definitely a little difficult, but well worth it when you see some of the views. There are also several different half marathon races offered as part of the weekend event if you’re looking to train for a long distance run, but a marathon sounds a little daunting for you at this point. 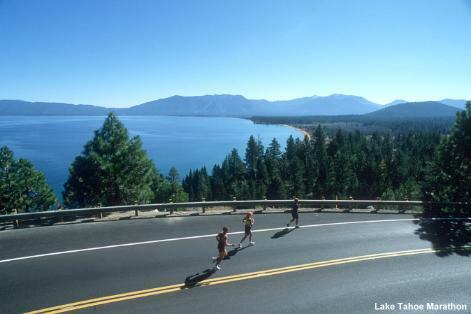 The half marathon races offered include the Emerald Bay Half Marathon, Cal-Neva Half Marathon, and Nevada Half Marathon. 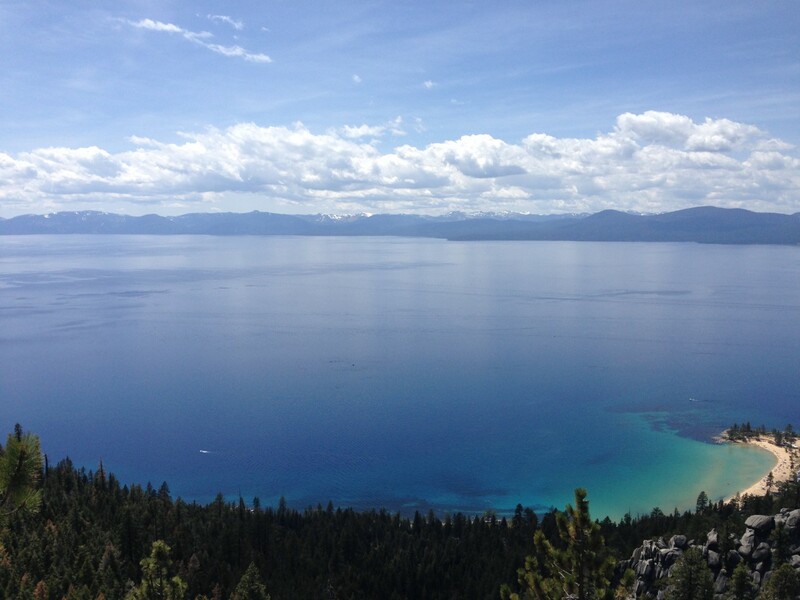 Each course provides excellent views of Lake Tahoe and varies in difficulty based on the starting point. You can sign up for a half marathon on each day and make it the Tahoe Trifecta if you’re feeling really ambitious. All of the races offer a unique finishers medal and are about 28 weeks away, leaving you plenty of time to get in shape, even if it is your first marathon or half marathon. The Lake Tahoe Marathon was my first marathon and provides a really great experience, so I am definitely a supporter of this race! If you now feel inspired to sign up, you can register here. Feel free to comment and share whether these events sound interesting to you! I’d love some feedback. I hope you enjoyed the 3rd Annual Leprechaun Chase presented by Race178, if you happened to have ran it on March 15th. I know I had a blast and it was well worth it to get up on a Sunday to get in a nice 5k run with a bunch of other peeps for a St. Patty’s day themed run. 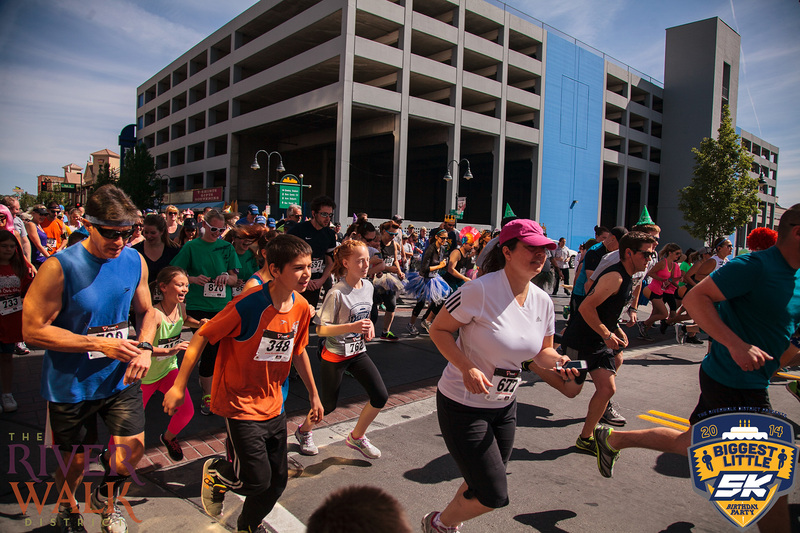 In the spirit of amazing Spring races in Reno, I thought I would highlight another upcoming run on April 12th in downtown Reno by giving some kudos to the 2015 RENO 5000 Downtown River Run sponsored by the Dolan Auto Group. 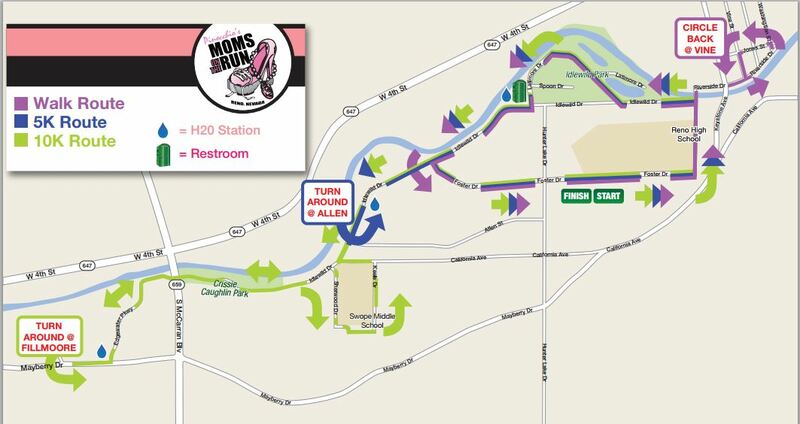 This is another exceptional race in the Reno area that features a course starting at the Reno arch with an out-and-back along the Reno Truckee River Path (which I have highlighted in one of my previous posts). The race is actually Race #1 in the RENO 5000 2015 Running Series and features a Marathon, Half Marathon, 10k, 5k, and JR 1 Mile. 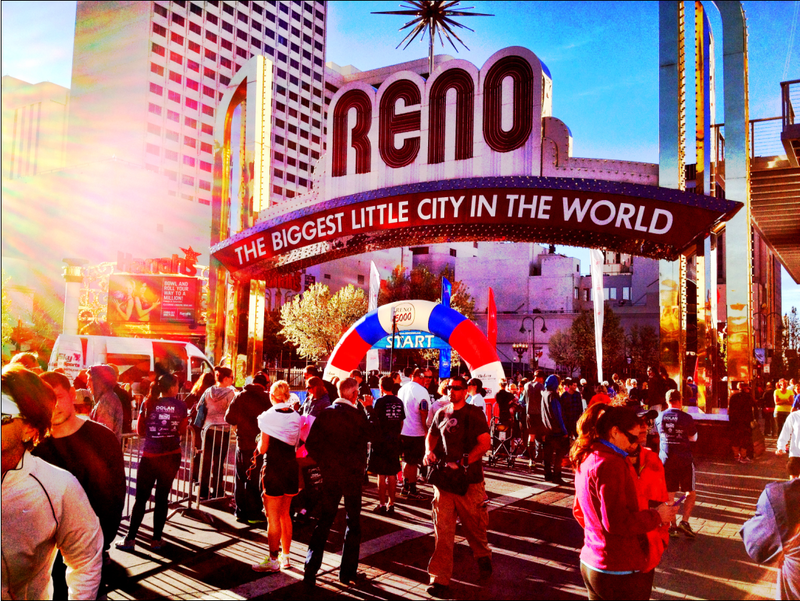 Each event starts at the Reno arch with a turnaround that varies depending on the distance, but are all featured along the downtown stretch of Virginia street that showcases the “Biggest Little City”. All participants receive finisher awards, gender specific race shirts, food, drinks and other festivities at the race expo. I personally have only run the half marathon for this race series, but think the best part is the scenery you’re exposed to and the elevation change. The race features some of the coolest scenery of downtown Reno as well as some of the best parts of the Truckee River, while providing a very fast course that has relatively little elevation change. The out-and-back is pretty awesome too as you get an idea of where you’re at when you’re on your way back to the Reno arch and can put in that extra kick towards the finish. It may be a little too late to sign up for the Marathon or Half Marathon, unless you’re one of those people always in top running form, but if you’d like to jump in for the 10k or 5k race, there is definitely still time to register. For those that want to try out there first marathon or are looking to take it to the next level, the Downtown River Run marathon is a great fast course for first marathoners and is a Boston Qualifier! There are also some sweet prizes for the overall male and female winners… “The male and female winners of the marathon will feel joy, like the ancient Greek courier “Philippides” once did, by the possibility of winning a $1,000 prize purse, leaf crowns and their portraits drawn and framed.” You have to have a certain finisher time for the prizes of course, but nonetheless, the potential for winning some cash is pretty huge. Unfortunately I won’t be able to make it to this year’s run, but I hope everyone that does can comment and give a shout out on how amazing it is this year! It’s a very well organized run and is definitely one of my favorites.